The ‘Elegant Algorithms: Programming as a craft’ competition was initiated to proof that programming is a creative activity and can be seen as a craft. 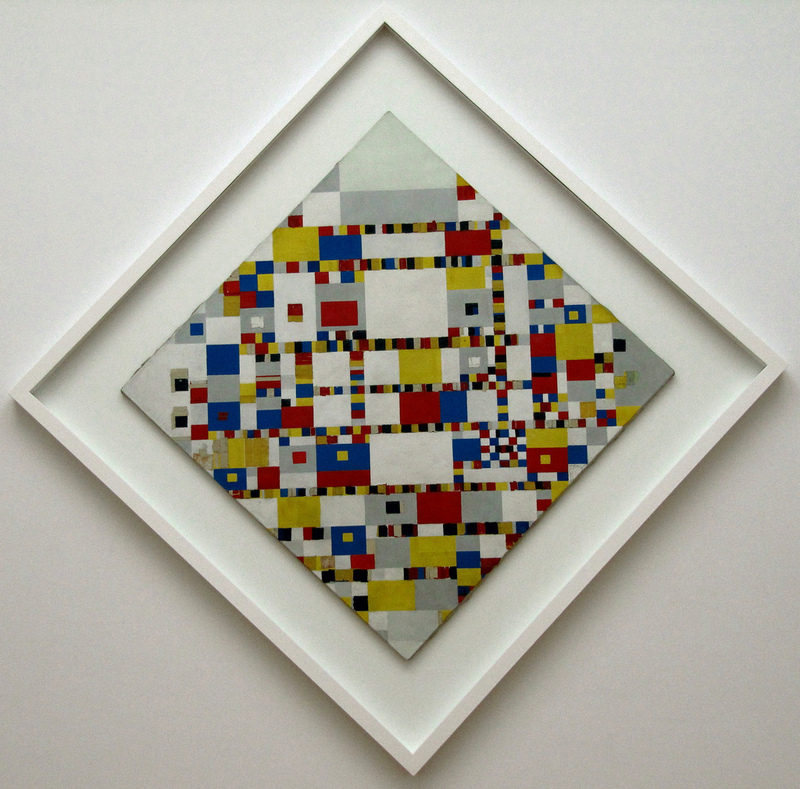 It also raises the question whether traditional art can be captured in algorithms. The winner of this competition was Loe Feijs. All applications are open-source, thus the algorithms and applications are freely available on the web. I've read the application of Loe Feijs and saw his program. 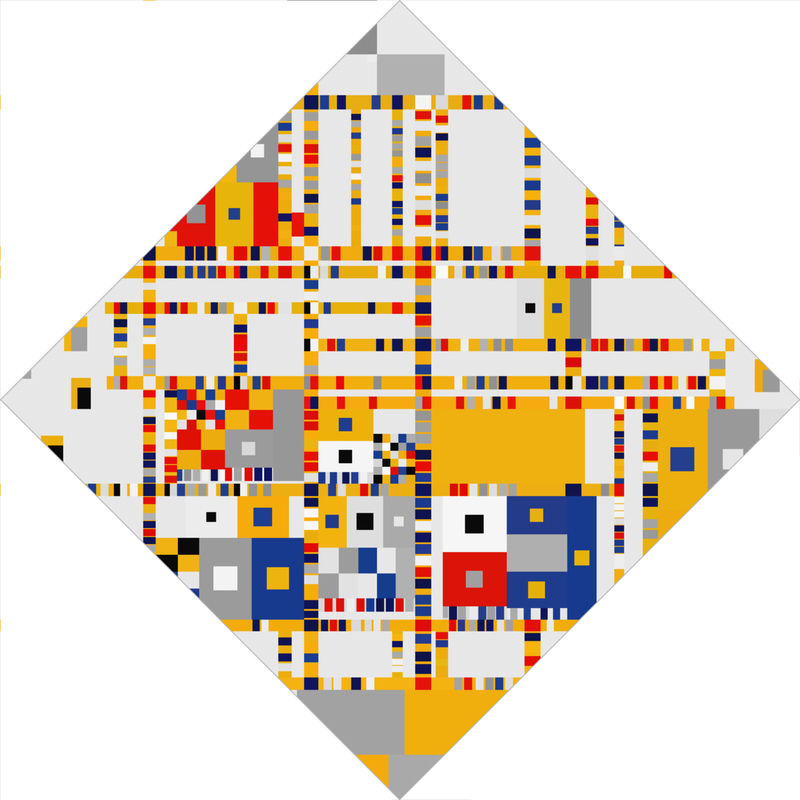 I was impressed by his thorough analysis on the work of Piet Mondriaan and his translation into algorithms which recreates ’Victory Boogie Woogie’. The work of Loe Feijs inspires me to add more graphic layers into my series of prints, so it will become more complex and in this way more playful. Loe Feijs appeared to be a Professor at the TU/e (Technical University Eindhoven), so I tried to contact him. Later I met him and one of his students Yu Zhang in my Daglicht studio. When I visited Yu at the TU/e, Loe Feijs' Victory Boogie Woogie was hanging in the hallway of the office, printed on a canvas. A reward for winning the competition. I felt disappointed to see it. The work really fascinates me as a digital image and as a program, but printed on a canvas it became flat and it did not have any handwriting. I realised the importance of execution of a print.